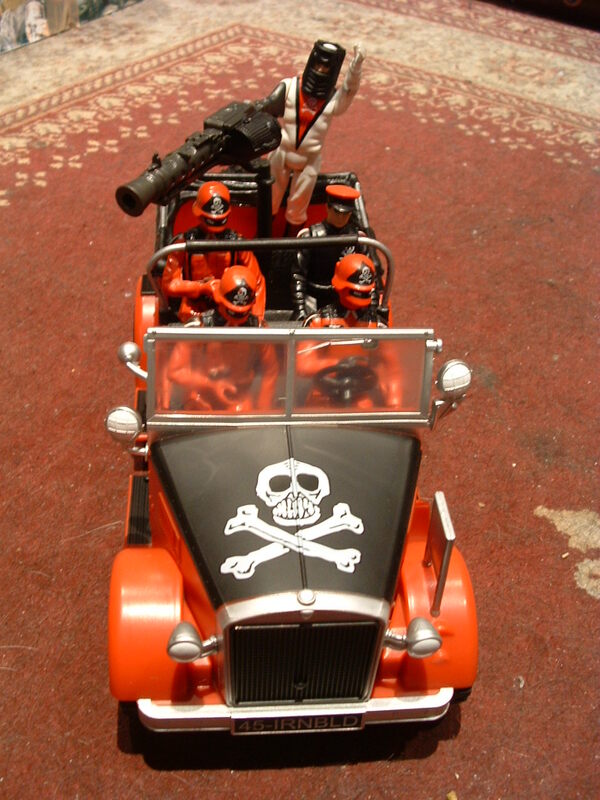 Red Shadows Staff Car 2010 - Joecon Exclusive vehicle- BLOOD FOR THE BARON!!! 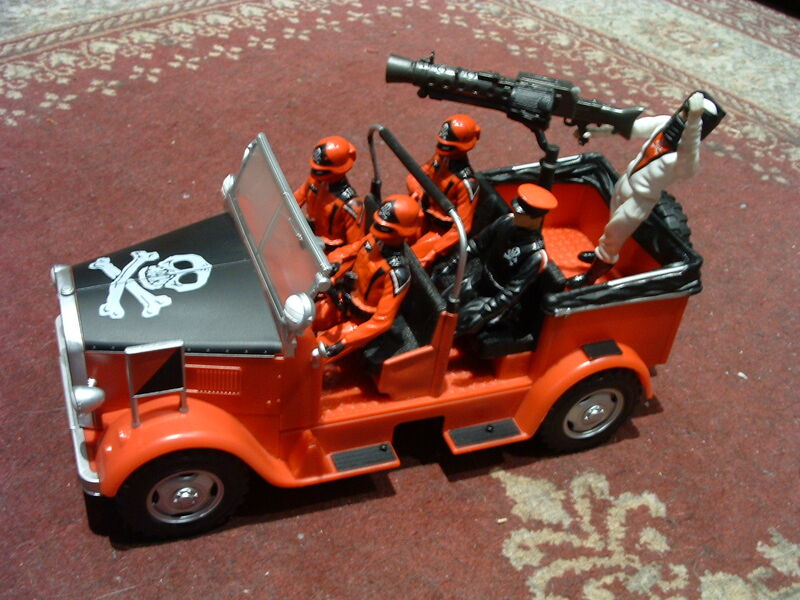 I decided to pass on this vehicle as I wanted to collect the figure packs this year. The big question is "Will the Baron fit in this??" With him not having bendy legs and all???? I still have visions of Baron standing in the back, picking off any Shadows who's boots aren't shiny enough with his luger as he drives past. Allowing for Volcanic clouds mine should hopefully be here soon! 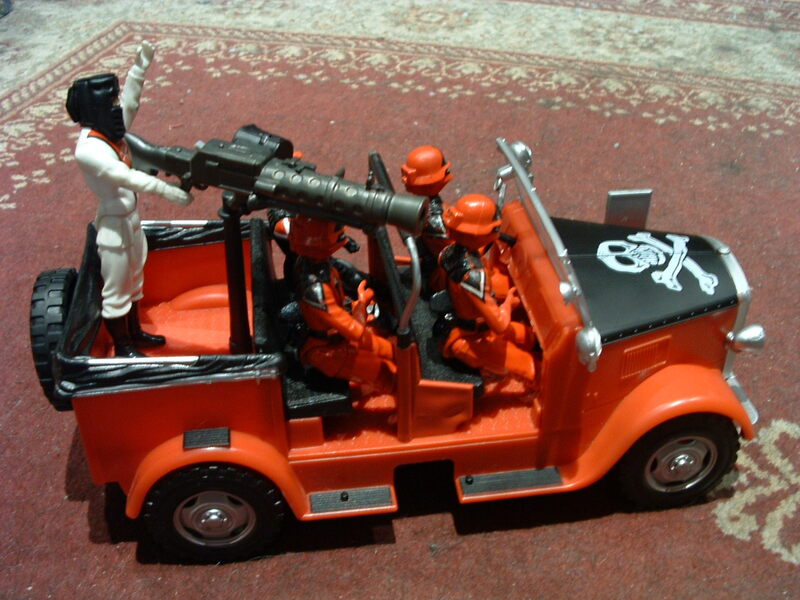 Big thanks to Andy1672 for the gun from his Indiana Jones edition jeep! Reminds me of the final battle from "Hawk's Challenge"